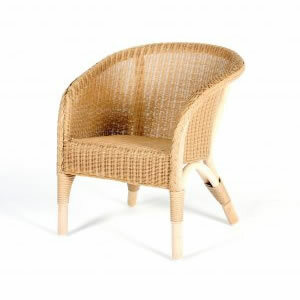 The Lusty Lloyd Loom Model 7103 is a child´s version of the classic 7021 Lloyd Loom chair; identical in every way but size. Loved by both children and adults, the Model 7103 is an essential addition to any nursery or playroom. A child´s chair, based on the adult model 60, can also be ordered, please contact us for further details. Designed by Jim Lusty circa 1937.